Is it too soon for chili? I mean, it’s not quite fall yet, but I think we could definitely use some cozy, comfort food. In Newfoundland, we’ve gone from hot and humid days to cold and rainy days in less than a week. So it’s probably safe to say that we are now officially into fall territory. And with fall comes warm and hearty meals, including these bowls of Slow Cooker Creamy Avocado Vegetarian Chili 🙂 . 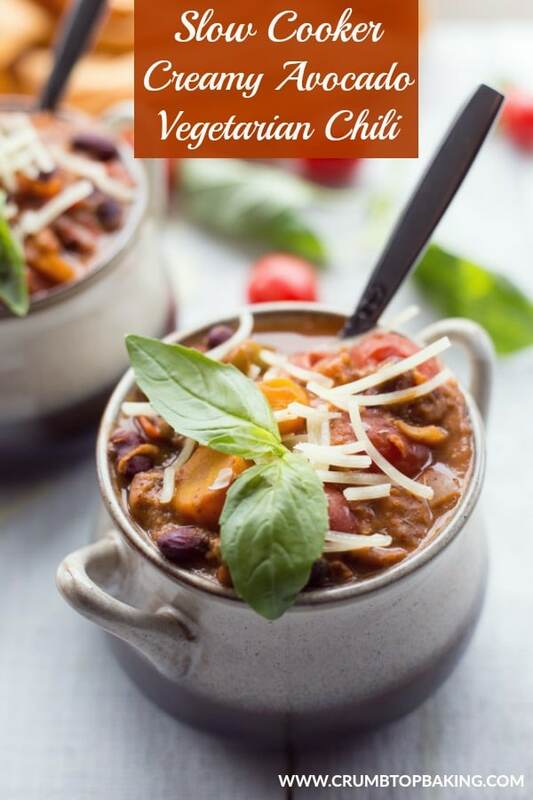 Chili is definitely one of my favourite cold weather comfort meals and this vegetarian chili has turned into one of my go-to recipes to meal prep on the weekends for busy weekdays. 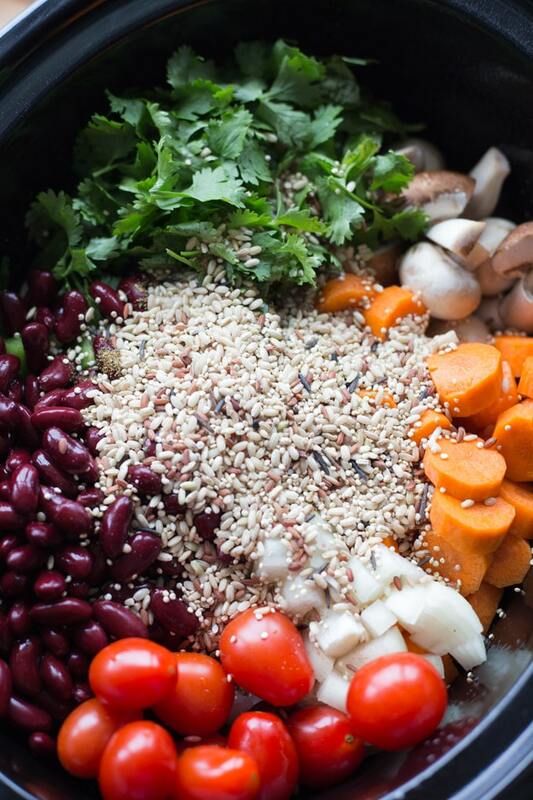 It’s loaded with veggies and plant-based protein and it comes together in just 3 hours in the slow cooker. Just pair it with some crusty multi-grain bread or homemade baked tortilla chips and you have yourself an easy meal to please a crowd. Perfect for a family gathering or game night! So, I’ll admit that I’m new to the vegetarian chili game. When I make chili it’s usually with ground beef or ground turkey. Any time I’ve tried a vegetarian chili, it has never turned out the way I like, which is thick and chunky with lots of flavor. So I kinda surprised myself when I put together this recipe for Slow Cooker Creamy Avocado Vegetarian Chili and it turned out so well! It is super thick and creamy with chunks of tomato, carrot, green pepper and mushroom. Avoid cans of diced or stewed tomatoes and use fresh whole grape or cherry tomatoes. 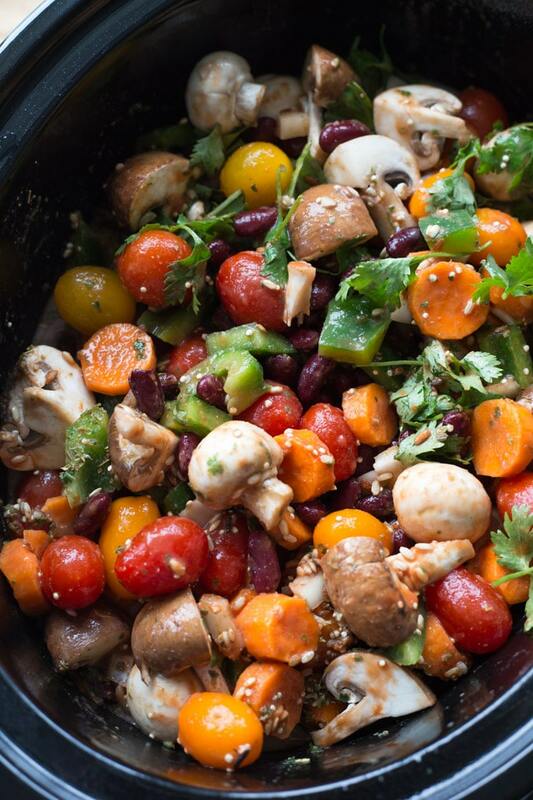 Cut the carrots, peppers and mushrooms into thick chunks. Do not over cook the chili. To avoid mushy veggies, I only cook this chili until the veggies are just barely tender. Thicken up the chili with quinoa and a cup of avocado added at the end. This also makes it super creamy! As I mentioned, this chili is loaded with chucks of veggies, but you also get your protein from the red kidney beans, quinoa and avocado. I tried to avoid canned products in this chili and used only fresh ingredients wherever I could, but I did add a can of no-salt added kidney beans and no-salt added tomato sauce. There are also lots of fresh herbs for flavor including basil, cilantro, oregano, parsley and garlic. 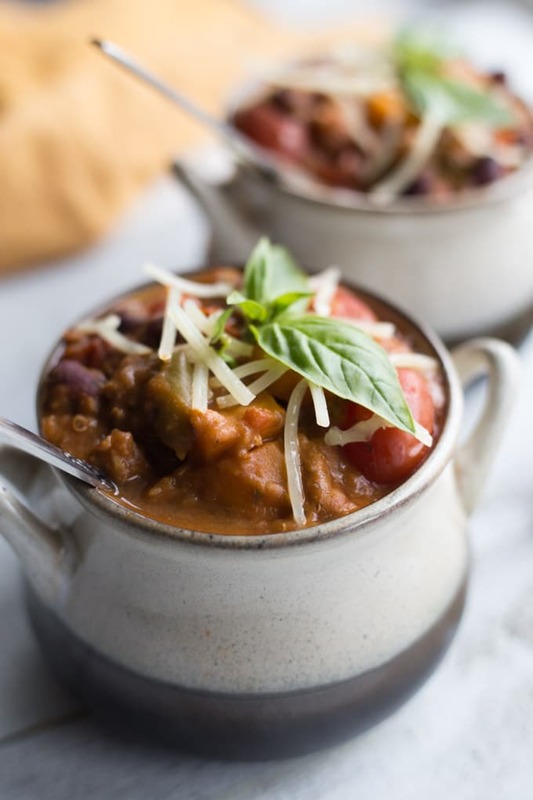 Perhaps the best part about this Slow Cooker Creamy Avocado Vegetarian Chili is that it takes only 20 minutes to prep and just 3 hours in the slow cooker. And it goes a long way. Depending on how hungry you and your guests are, you can get 4-6 bowls from this recipe. You can also make up a batch on Sunday to enjoy for lunches and suppers during the week! 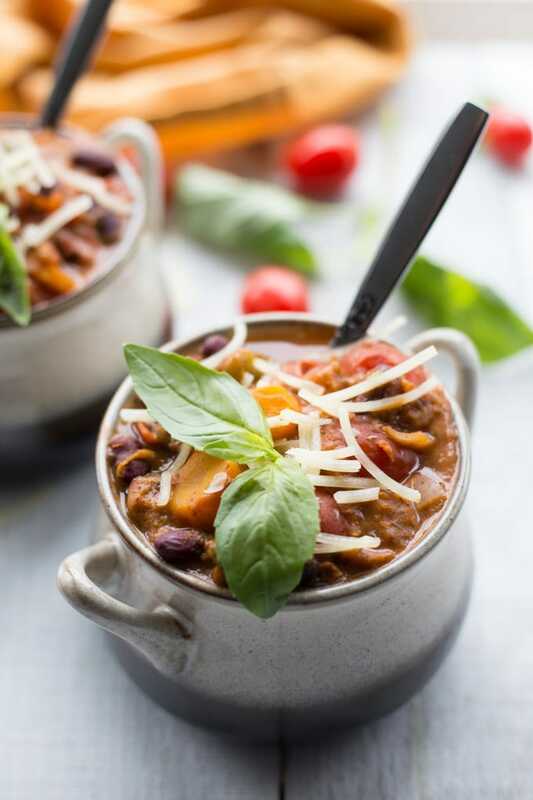 This Slow Cooker Creamy Avocado Vegetarian Chili is loaded with veggies and plant-based protein and requires only 20 minutes to prep and 3 hours to cook! Thick, creamy and chunky, it’s the perfect clean eating meal for weekly meal planning, family gatherings or game day! Prepare and add all the ingredients to your slow cooker, except the avocado. Stir until combined and cook on high for 3 hours. Once cooked, add some of the chili liquid from the slower cooker to a blender with the avocado and blend on high for 30 seconds. Add the creamy avocado mixture to the chili and stir until combined. Leave the chili warming in the slow cooker for another 10-15 minutes. Serve and enjoy! Store any leftovers in the fridge and enjoy within 3-4 days. (You could freeze this chili, but I prefer not to as the tomatoes and mushrooms will make the chili runny when it defrosts). This chili isn’t overly spicy, so if you like it with a bit more heat, feel free to add additional cumin, red pepper flakes, or other spices likes chili powder, chipotle pepper or cayenne pepper. 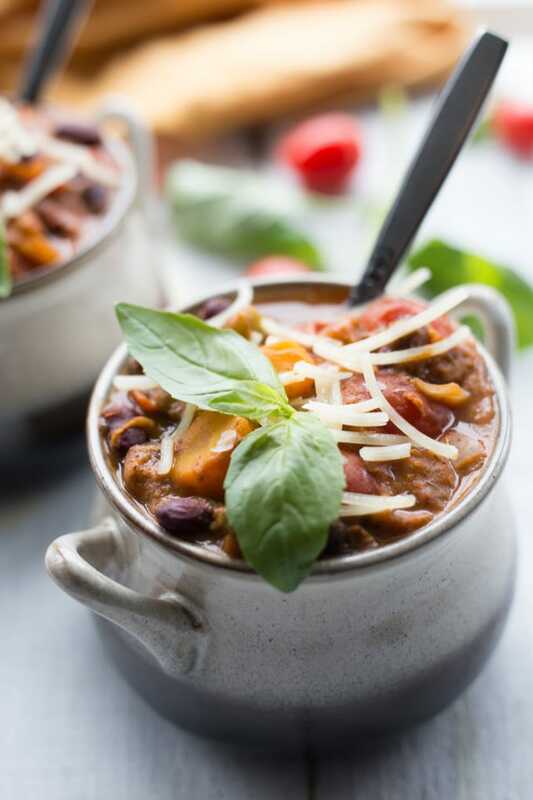 If you prefer your veggies a little softer and don’t mind the mixture going a little mushy, you could cook this chili a little longer in the slow cooker. I know you really shouldn’t take the lid off the slow cooker while your food is cooking, but I like to take the lid off at the mid-way point to stir the chili to ensure all the ingredients cook evenly. 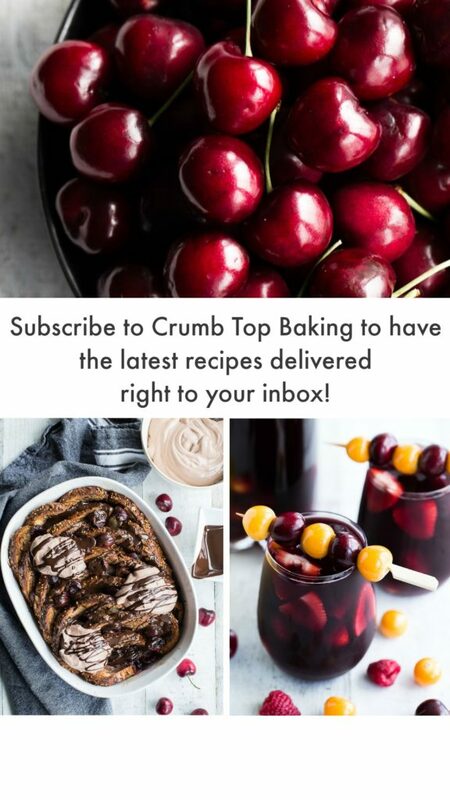 Looks yummy – I will have to try it! Thanks! I hope you like it! Be sure to let me know what you think! 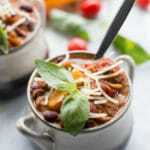 I am vegetarian so this chili looks like heaven to me! Loaded with wonderful, colorful veggies, it is a bowl of pure comfort food! Thanks Nicoletta! Veggie chili is my favourite kind of chili. Filling but not too heavy! I could use a big bowl of this today! Looks delicious and I love your little bowls! Oh thanks Nicole! I love the bowls too! !